For Ira Feinberg, what he calls the “pinnacle of my life’s experiences” took place 63 years ago. Feinberg was a 17-year-old New Yorker when he joined the elite troops of the Palmach force fighting in Israel’s War of Independence. For the foreign volunteers like Feinberg who left home to join in the battle, the remembrance of those historic days remains undimmed. Some 4,800 men and women from 58 countries put their lives on the line to help defend the newborn Jewish state, including about 900 to 1,000 Americans. Feinberg has just released My Brother’s Keeper, a documentary he produced and directed about Machal, the Hebrew acronym for Volunteers from Abroad. The 40-minute film recreates a real sense of those long-ago years by talking to some of the volunteers at a 2008 reunion in Israel, which celebrated its independence May 9-10. The Machalniks there join Feinberg in expressing a similar pride and sense of life-changing involvement. Feinberg, who now lives in Fort Lee, realized that the Israel reunion was likely to be the last gathering of the aging veterans, so he brought along a camera crew to preserve their reminiscences. They recall fighting at the beginning with World War I rifles or dropping hand grenades from open cockpits. Feinberg enlivens the testimony with some historic newsreel footage and photos of bare-chested Machalniks posing fiercely with Browning automatic rifles; but, of necessity, the action is somewhat static. The film is particularly useful in telling the story of the American participants, who by fighting in a “foreign” army broke United States laws and risked the loss of their citizenship. Yet surprisingly little is known of their deeds, either in their home country or in Israel. 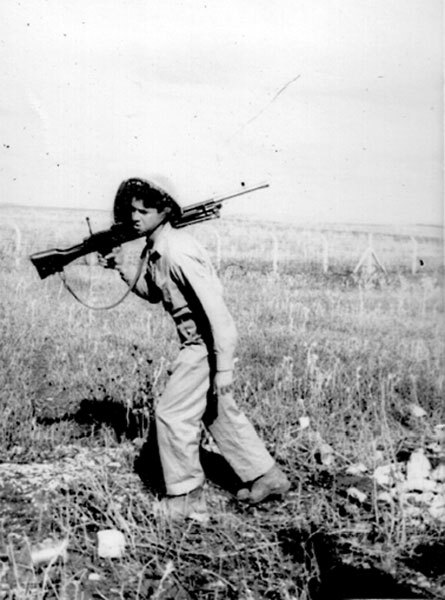 Esther Shawmut Friedman joined the Israeli army as a combat medic, serving with the Eighth Armored Brigade in the battle for Be’er Sheva and other engagements. Jason Fenton was a 16-year-old high schooler in Cambridge, England, when he followed in his older brother in 1948 by joining the Fourth Anti-Tank Unit. Most of his comrades were veterans of World War II. Fenton, a retired American university professor, likely holds the distinction of being the youngest volunteer. He has told the story of his unit and of Machal in his book, Strength and Courage. “Other than creating a family with 11 grandchildren, being part of the rebirth of the Jewish state after 2,000 years of exile was the most important thing I have ever done,” he said. The foreign volunteers were predominantly Jewish but also included a good number of non-Jews. The first were the crew members of Aliya Bet, who manned the rust bucket ships that ran the British blockade to bring the remnants of European Jewry to Palestine in 1947 and early 1948. 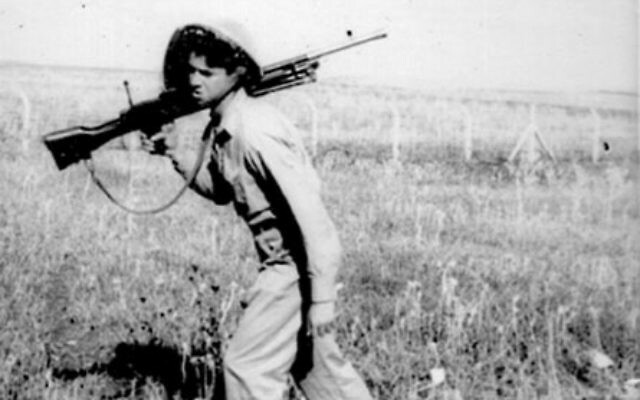 Machalniks would go on to fight in all branches of the Israel Defense Forces, but their greatest impact was in applying their World War II training to build up the Israeli Air Force and Navy. By countries, the volunteers ranged in number from one each from Bechuanaland, Burma, and Panama to the large U.S. contingent, 804 from South Africa, 785 from the United Kingdom, and 270 from Canada. In general, visual coverage of the War of Independence was meager. There were no embedded TV cameramen, of course, and even combat news photographers were rare; the newly created state had more pressing matters to worry about. Hollywood tried to plug the cinematic hole of films celebrating the near miraculous victories of 1948-49 with Cast a Giant Shadow, starring Kirk Douglas in the role of Col. David “Mickey” Marcus, an American World War II officer who went to Israel in early 1948 to aid the country in its struggle. Predictably, the picture was long on drama and short on reality. My Brother’s Keeper is produced by Cinema Angels and can be ordered at www.Irafeinberg.com.